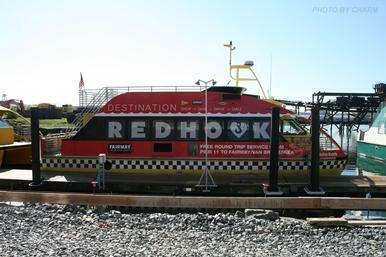 Red Hook is a neighborhood in the New York City borough of Brooklyn, USA. The neighborhood is part of Brooklyn Community Board 6. It is also the location where the transatlantic liner, the RMS Queen Mary 2, docks in New York City. According to Henry Stiles "A History of the City of Brooklyn," Red Hook has been part of the Town of Brooklyn since it was organized in the 1600s. It is named for the red clay soil and the point of land projecting into the East River. The village was settled by Dutch colonists of New Amsterdam in 1636, and named Roode Hoek. In Dutch "Hoek" means "point" or "corner" and not the English hook (i.e., not something curved or bent). The actual "hoek" of Red Hook was a point on an island that stuck out into Upper New York Bay at today's Dikeman Street west of Ferris Street. In the 1880s to the present time, people who live in the Eastern area of Red Hook refer to their neighborhood as "The Point" Today, the area is home to about 11,000 people. During the Battle of Brooklyn (Long Island), a fort was constructed on the "hoek" called "Fort Defiance". It is shown on a map called "a Map of the Environs of Brooklyn" drawn in 1780 by a loyalist engineer named George S. Sproule. According to Robert Roberts' 1980 book "New York's Forts in the Revolution," General Israel Putnam came to New York on April 4, 1776 to assess the state of its defenses and strengthen them. 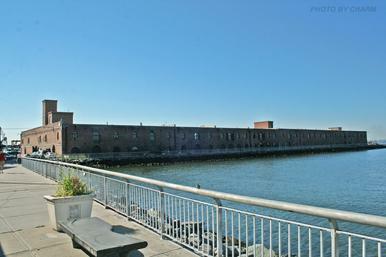 Among the works initiated were forts on Governor's Island and Red Hook, facing the bay. On April 10, one thousand Continentals took possession of both points and began constructing Fort Defiance which mounted one three pounder cannon and four eighteen pounders. The cannons were to be fired over the tops of the fort's walls. During May, Washington described it as "small but exceedingly strong." On July 5, General Nathanael Greene called it "a post of vast importance," and three days later, Col. Varnum's regiment joined its garrison. The Sproule map shows that Fort Defiance complex actually consisted of three redoubts on a small island connected by trenches, with an earthwork on the island’s south side to defend against a landing. The entire earthwork was about sixteen hundred feet long and covered the entire island. The three redoubts covered an area about four hundred by eight hundred feet. The two principal earthworks were about one hundred fifty by one hundred seventy-five feet, and the tertiary one was about seventy-five by one hundred. According to Stiles, on July 12, the British frigates Rose, Phoenix and the schooner Tyrol ran the gauntlet past Defiance and the stronger Governor's Island works without firing a shot, and got all the way to Tappan Zee, the widest part of the Hudson River. They stayed there for over a month, beating off harassing attacks, and finally returned to Staten Island on August 18. The Sproule and Ratzer maps show that Red Hook was a low-lying area full of tidal mill ponds created by the Dutch. In 1839 the City of Brooklyn published a plan to create streets, which included filling in all of the ponds and other low-lying areas. 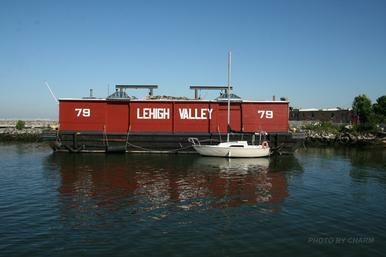 Stiles points out that in the 1840s, entrepreneurs began to build ports as the "offloading end" of the Erie Canal. These included the Atlantic, Erie and Brooklyn Basins. By the 1920s, they made Red Hook the busiest freight port in the world, but this ended in the 1960s with the advent of containerization. In the 1930s, the area was poor, and the site of the current Red Hook Houses was the site of a shack city for the homeless, called a "Hooverville." It would appear that gunfire from Fort Defiance did damage to the British ships. Samuel Shaw wrote to his parents on July 15: "General Howe has arrived with the army from Halifax, which is encamped on Staten Island. On Friday, two ships and three tenders, taking advantage of a brisk gale and strong current, ran by our batteries, up the North River where they at present remain. By deserters we learn that they sustained considerable damage, being hulled in many places, and very much hurt in their rigging. So great was their hurry, that they would not stay to return our salute, though it was given with much cordiality and warmth; which they seemed very sensible of, notwithstanding their distance, which was nearly two miles." Almost the entire New York Metropolitan area was under British military occupation from the end of 1776 until November 23, 1783 when they evacuated the city. Rapeleye Street in Red Hook commemorates the beginnings of one of New Amsterdam's earliest families, the Rapelje clan, descended from the first European child born in the new Dutch settlement in the New World, Sarah Rapelje. 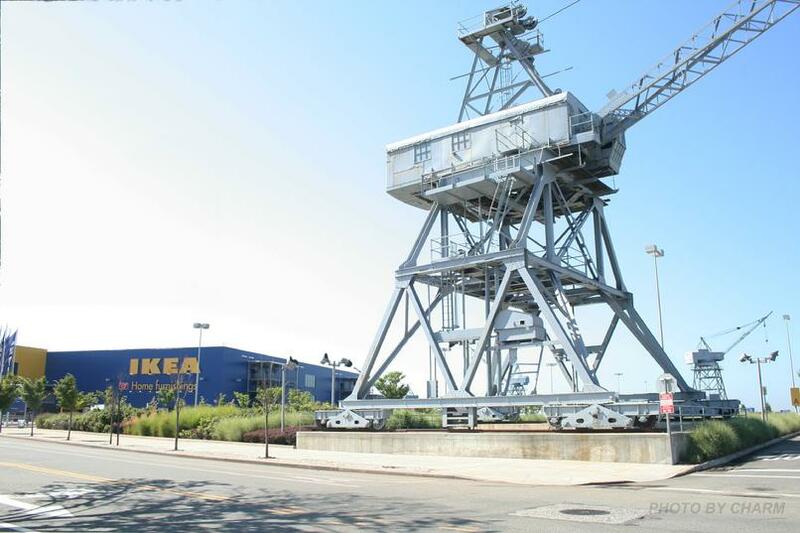 Stiles states that she was born near Wallabout Bay, which later became the site of the New York (Brooklyn) Naval Shipyard.Wick, Steve (March 28, 2009). "14 Generations: New Yorkers Since 1624, the Rapeljes Are On a Mission to Keep Their History Alive". Newsday. A couple of decades after the birth of his daughter Sarah, Joris Jansen Rapelje removed to Brooklyn, where he was one of the Council of twelve men, and where he was soon joined by son-in-law Hans Hansen Bergen. Rapelye Street in Red Hook is named for Rapelje and his descendants, who lived in Brooklyn for centuries. In the 1990s LIFE named Red Hook as one of the "worst" neighborhoods in the United States and as "the crack capital of America." Patrick Daly, the Principal of P.S. 15, was killed in 1992, in the crossfire of a drug-related shooting while looking for a pupil who had left his school. The school was later renamed the Patrick Daly school after the beloved principal. Red Hook is the site of the largest public housing development in Brooklyn, the Red Hook Houses which accommodate roughly 5,000 residents. 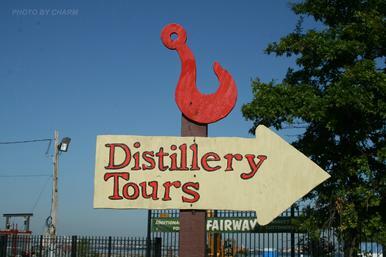 Red Hook's current eclectic mix of living artists[who? ][clarification needed] and industrial businesses create a neighborhood coined "Residustrial" in 2008 by artist and resident John P. Missale. Red Hook also contains several parks, including Red Hook Park.